The FIBR Food Safety Institute has become the cornerstone of FIBR's programs and services. 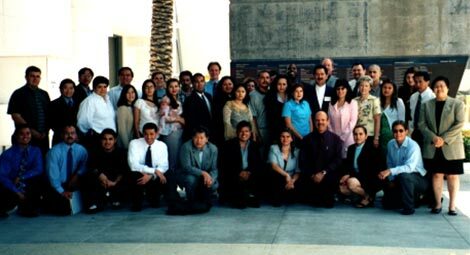 In the Summer of 2000, FIBR began the FIBR Food Safety Training Institute which was developed and run by a volunteer corps of professional food safety professionals that represent Industry, Regulatory, Consultants and Academia, The FIBR Training Council. FIBR trainings are unique in that our trainers are diverse and provide both a regulatory and industry perspective and training are offered in group or on-site settings. Processors receive the tools needed to provide safe, quality foods to consumers. Core trainings include Good Manufacturing Practices (GMP's), Sanitation Standard Operating Procedures (SSOP's) and Hazard Analysis Critical Control Points (HACCP). FIBR also convenes its members to discuss new regulations or laws affecting the industry, advocates on their behalf and on occasion offers specialized seminar on topics like Surviving Third Party Audits or Advanced HACCP, and Recalls. GMP, SSOP and HACCP training is the first step toward achieving food safety excellence for food manufacturers. There is significant importance in the continuation of your company's food safety training. Your company team should take steps now to be prepared for all the new regulations that will be required under the FDA Food Safety Modernization Act (FSMA). Under FSMA all food processors will be required to have HACCP. For those who do not fall under the processing guidelines, warehouses for example, will be required to have a risk assessment program in place. A Risk Assessment program from FIBR is in the development stages. In the meantime, HACCP training will help you define the tools needed for that risk assessment requirement. Education with The FIBR Food Safety Training Institute will give you a head start to be ready for the new challenges that are currently taking place in the food industry. Your next step is to register your team to take the full set of courses offered. New employees and veterans alike benefit from FIBR's excellent training curriculum. Don't delay, register your team today! FIBR Food Safety Training Institute – Promoting Safe, Quality Foods since 2000! 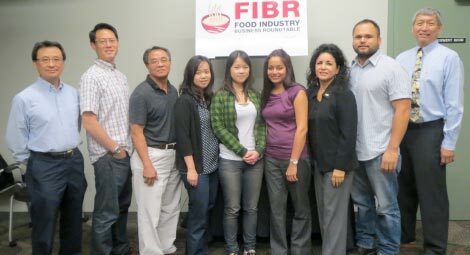 Pictured here is the inaugural HACCP class of the FIBR Food Safety Training Institute. Back then, it was an 8-day course which encompassed GMP, SSOP and HACCP. Today, you can take each of these separately! In one-day GMP and SSOP modules and a 4-day HACCP Course – FIBR also now offers on-site training! GMP and SSOP courses are lead by John N. Pesce, a food industry veteran who is currently working for a major food company were he is responsible for food safety regularatory issues, employee training and supplier 3rd party audits. He and his team bring both industry and regulatory perspectives to the trainings. Each class provides industry and regulatory compliance and brings your particular product issues and concerns to the forefront. The Fall 2012 Graduating HACCP Class! Pictured here with the FIBR Training Council Lead Trainer Mas Hori (right), are students from Wing Hing Foods, Q Trade Teas & Herbs and Roxy Trading. They received their HACCP training from the best! Mas is the Principal of Mas Hori & Associates, a food safety consulting group. Mas served as a Food and Drug Investigator, Senior Food and Drug Investigator and Supervising Food and Drug Investigator for the California Department of Health Services, Food and Drug Branch for 26.5 years. This Good Manufacturing Practices (GMP) training course will come from the regulatory and industry perspective. It will give you insight to maintain compliance with the federal regulations for your facilities. This Sanitation Standard Operating Procedures (SSOP) training course will come from the regulatory and industry perspective. It will give you insight to maintain compliance with the federal regulations and third party audits for your facilities. Hazard Analysis Critical Control Points (HACCP) is a food safety component, with GMP and SSOP, that regulatory agencies use to ensure food safety. The New FDA Food Modernization Safety Act (FMSA) now requires that all processed foods have a HACCP Plan. Third Party Auditors (Consumer driven Food Safety Programs) have always had HACCP at the forefront. The requirements for HACCP, GMP and SSOP are rapidly becoming a way of life for the food industry. Preventive Control for Human Foods is a food safety system developed by the FDA that regulatory agencies use to ensure safe food in the United States. The New FDA Food Safety Modernization Act (FSMA) now requires that most Food processors have a Preventive Control Plan and a Qualified Individual to manage it. The Food Safety Preventive Controls Alliance (FSPCA) curriculum for Preventive Controls for Human Foods will be used during the training and teach the needed background for a Qualified Individual. The class will be taught over 3 days and the FSPCA Manual, FSPCA workbook, and FSPCA Certificate will be included. FIBR can bring the classroom to you! We offer hands-on practical application inside your facility. Meet Your FIBR Training Council! John Pesce, William Huntley and Michael Hernandez are our Core Trainers for the FIBR Food Safety Training Institute. 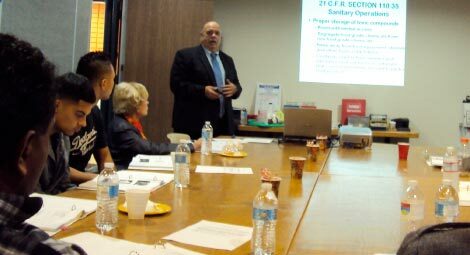 Other Food Industry Professionals are members of the Training Council and contribute to our food safety programs.